What is the use of StartAngle property in ejChart? The StartAngle property determines the angle to draw the segment for first point in pie and doughnut series. Segments for other points are drawn after the previous segment. In other words, StartAngle property determines the angle from which the pie or doughnut series are to be rendered. 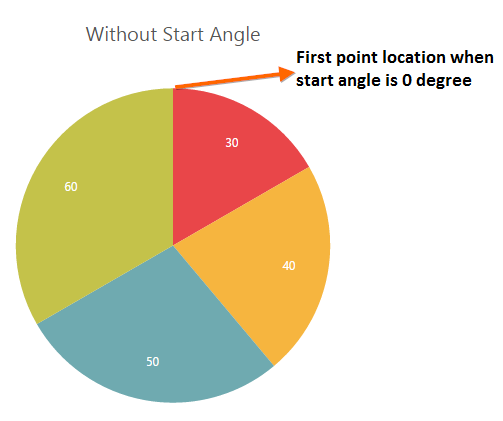 By default, the pie or doughnut series start from the center and top center co-ordinates of chart area. The following screenshot illustrates the pie chart with start angle 0, rendering from center and top center co-ordinates of chart area. 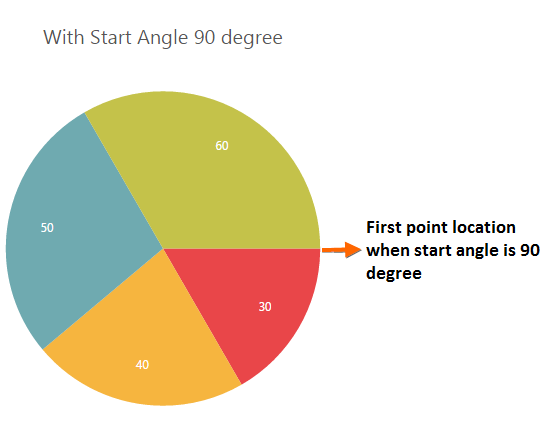 The following screenshot illustrates the pie chart with start angle 90, rendering from center and right center co-ordinates of chart area.